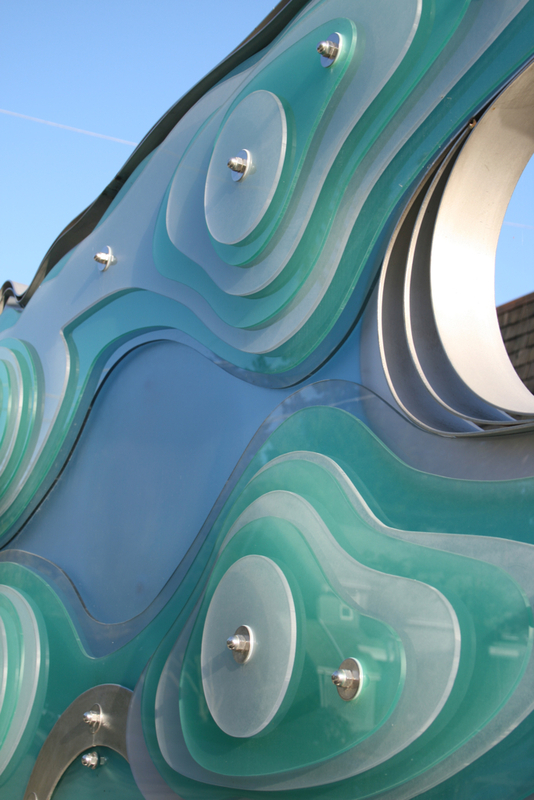 Lamina Aqua is an interpretation of laminar flow found in 3 sources related to the context and history of the former Plywood Technical Centre. 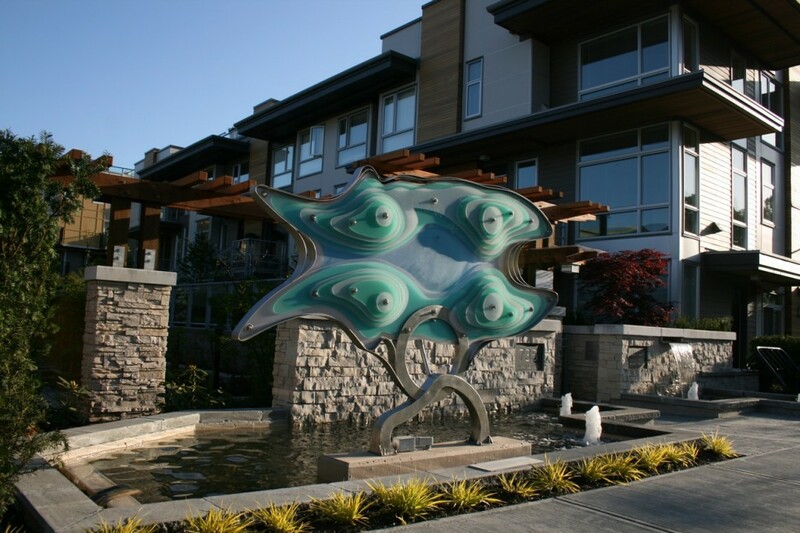 The artwork relates to the adjacent watershed, laminar flow of water and the process of lamination. 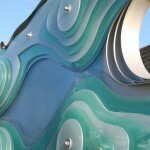 The sculpture is composed of layered laminate composites that transform as light passes through the translucent material. 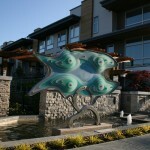 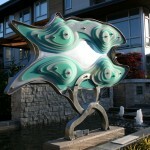 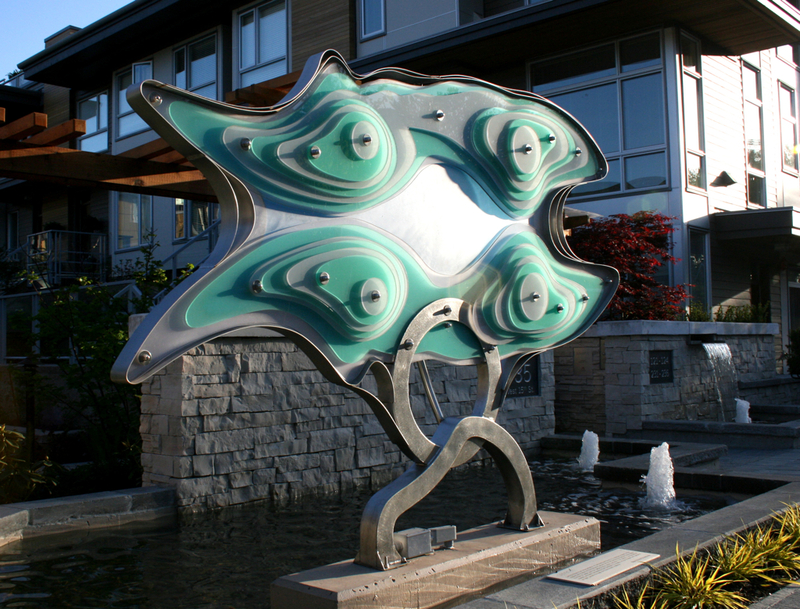 Located in North Vancouver, this artwork has been selected for a Public Art Award of Excellence.